Renewable energy is no longer some crazy, hippie-concocted, science fiction, nonsense. No, no, it’s real; and here in the desert southwest, we’re all about it. From the mighty Hoover Dam, to the sprawling wind-farms in Southern California, and the hi-tech solar plants scattered throughout the Mojave, Great Basin, and Sonoran deserts- it’s all the rage. Don’t get me wrong, there’s something special about looming Nuclear-cooling towers, and those gorgeous, billowing black clouds from “clean” coal, but all natural is just a bit more comfortable. We had the great privilege of working with the brainiacs over at the University of Nevada Las Vegas and their solar department; those smarties are hard at work making solar more productive financially, less destructive environmentally, and totally, totally popular amongst the “in crowd”. 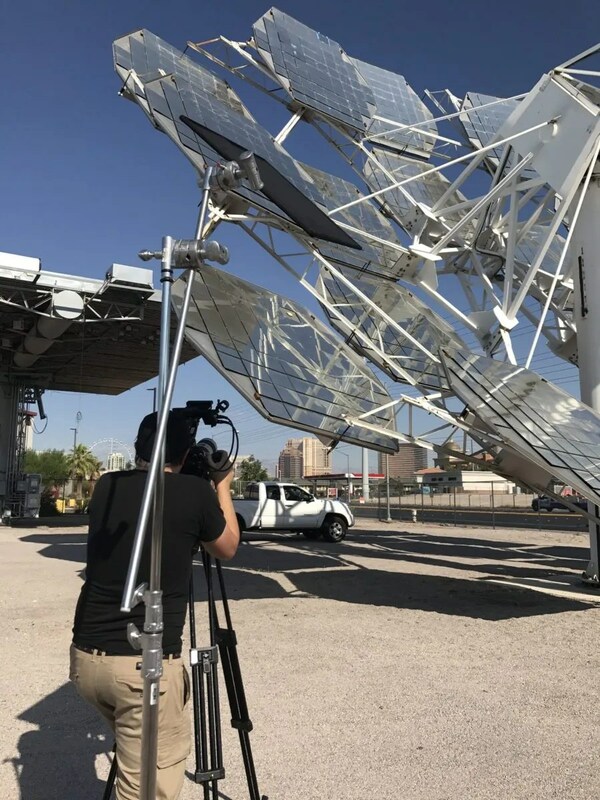 Despite scorching summer heat coupled with the lovely Monsoon-season humidity, our Las Vegas video production team got the shots we needed to make a really terrific piece of cinematic magic.